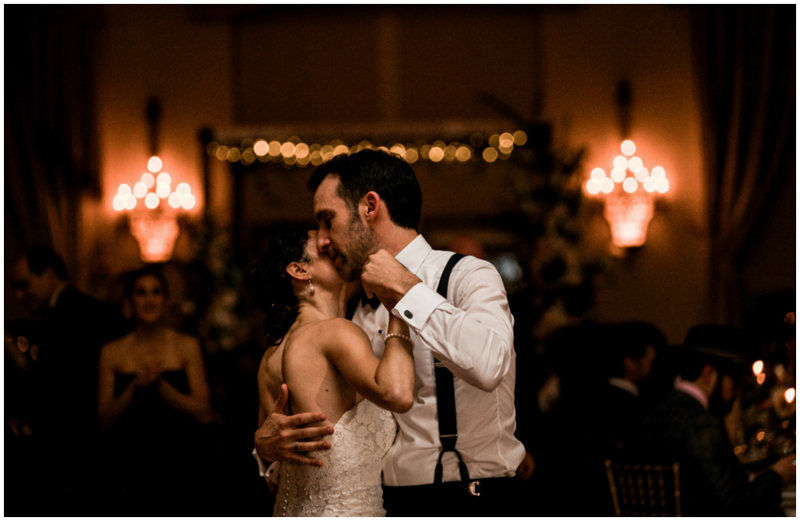 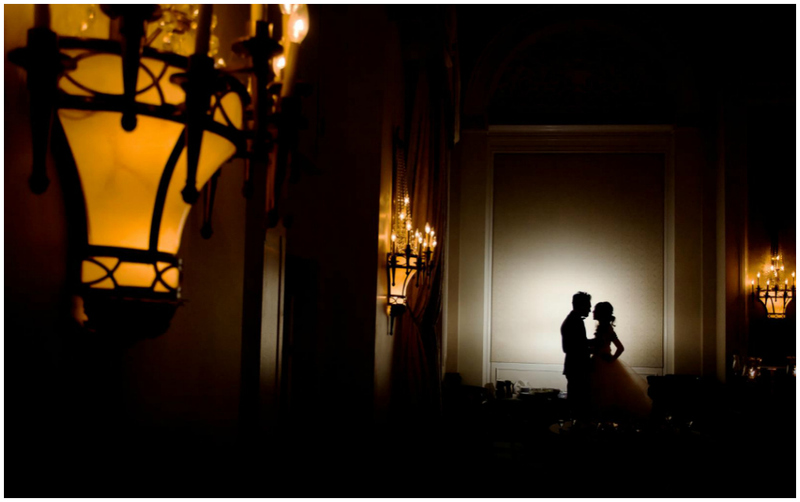 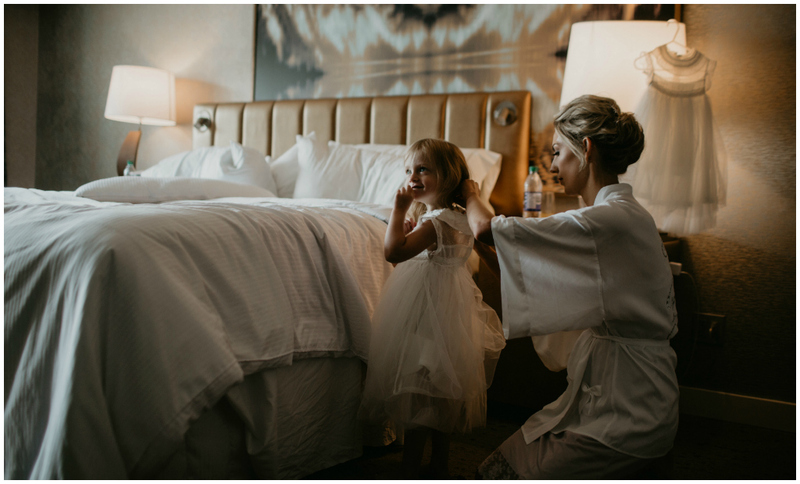 Jocelynn and Sam wanted a carefree wedding day they could spend creating memories with their loved ones. 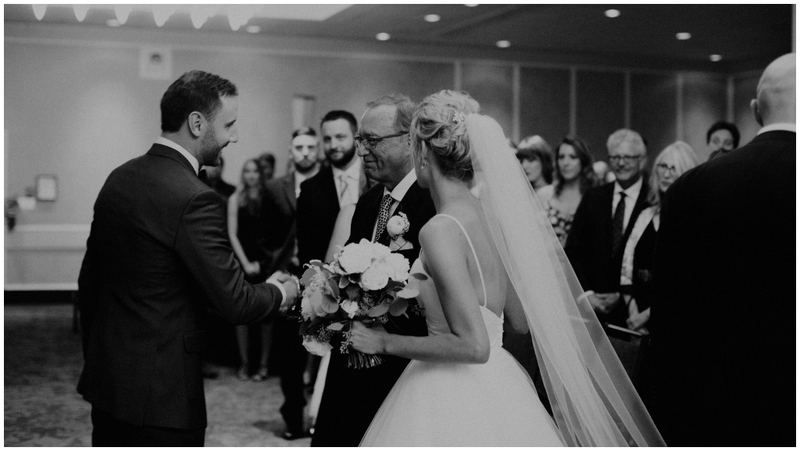 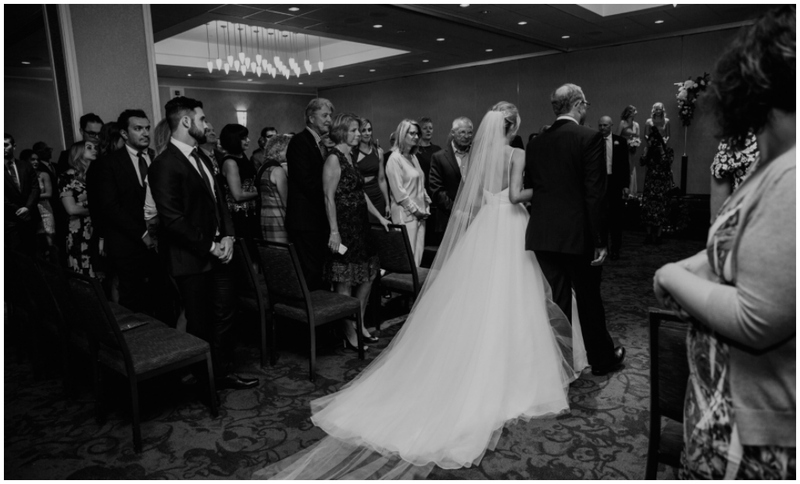 Family is very important to them, which was clear with their choice to include all their siblings, nieces and nephews in the wedding party. 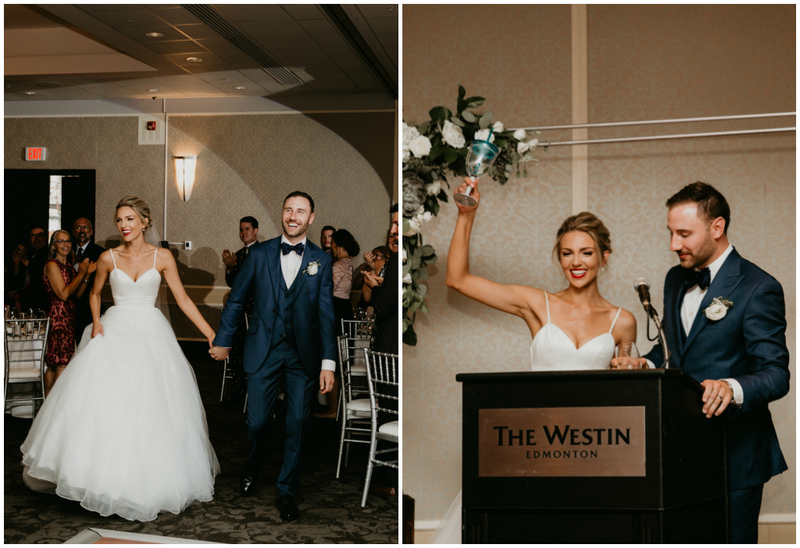 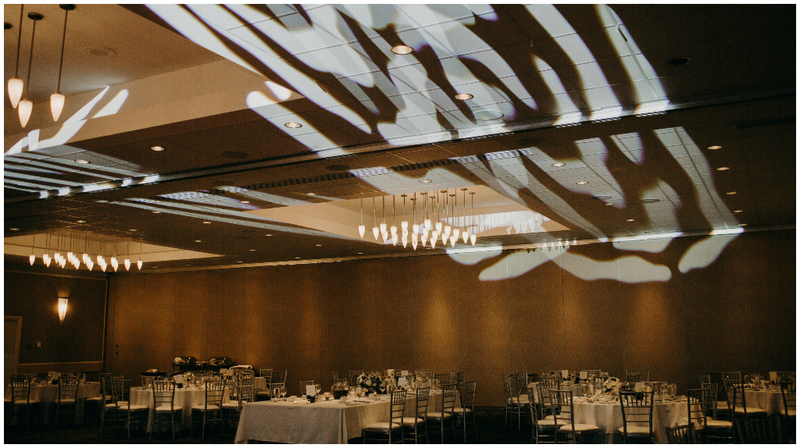 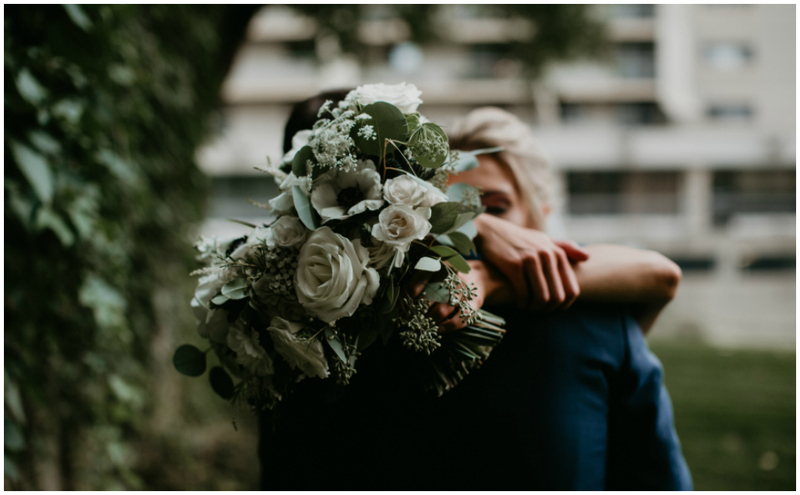 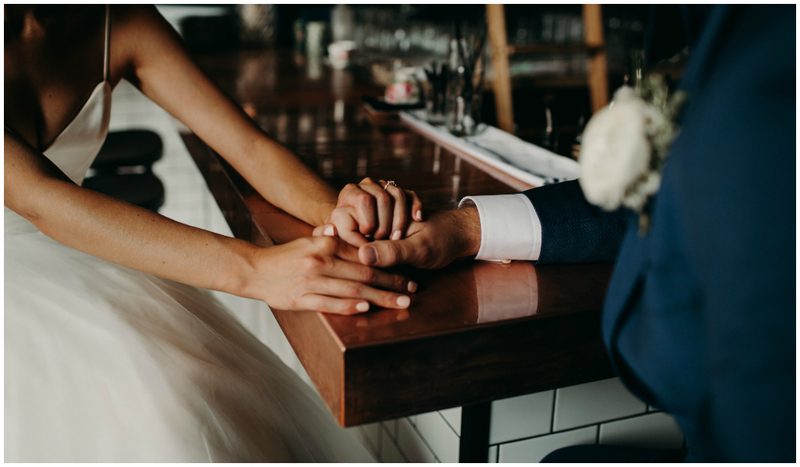 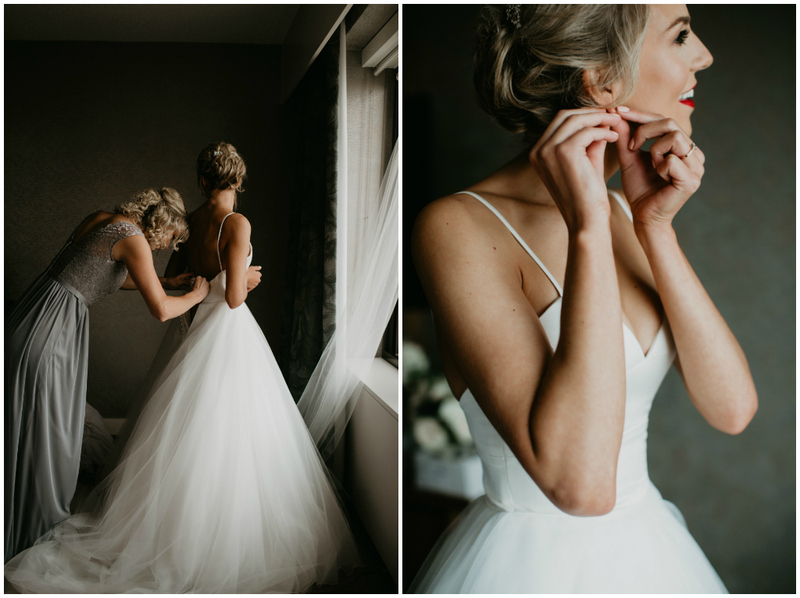 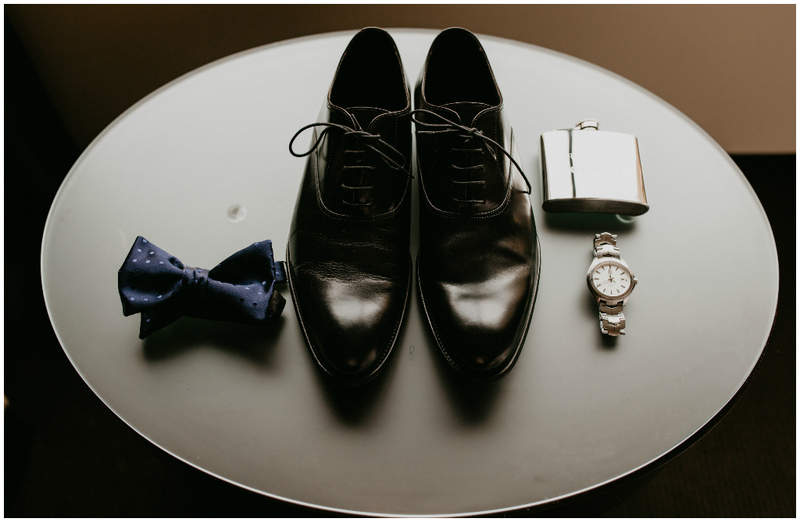 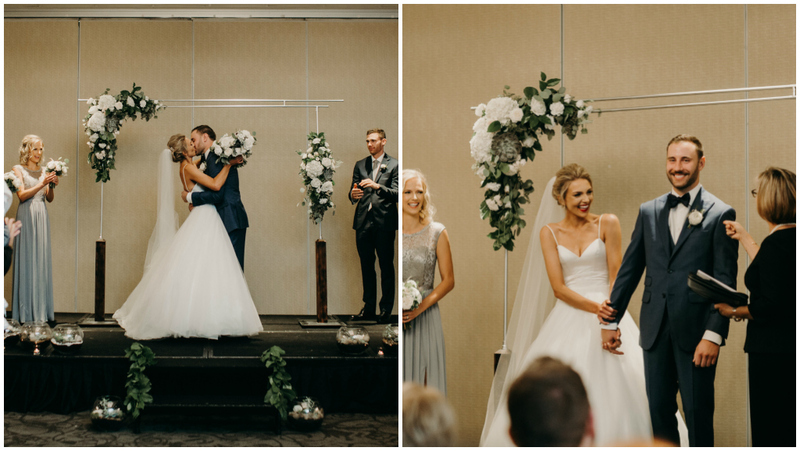 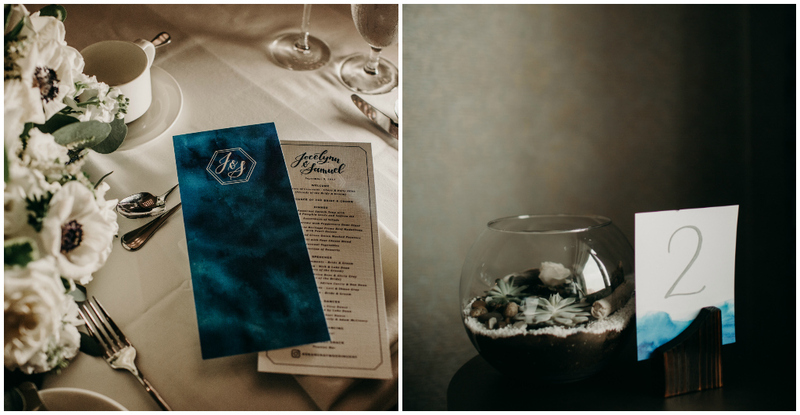 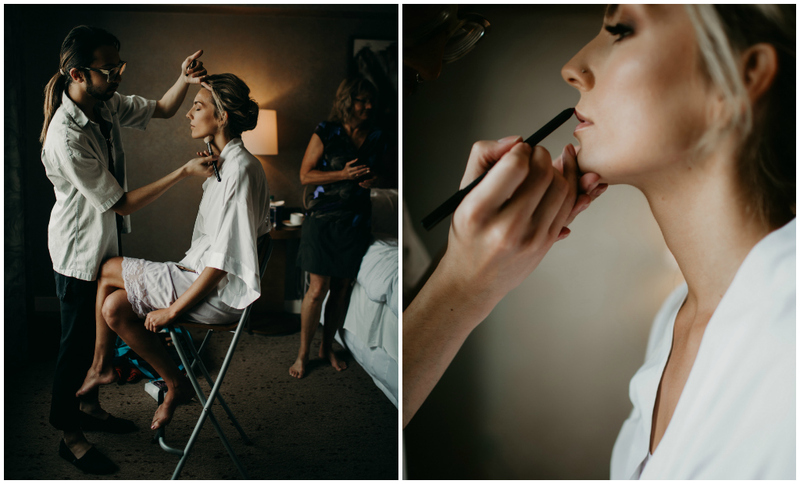 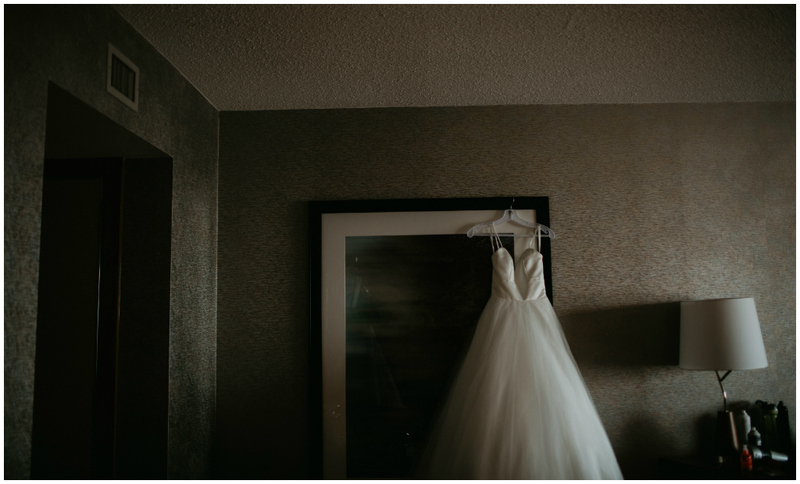 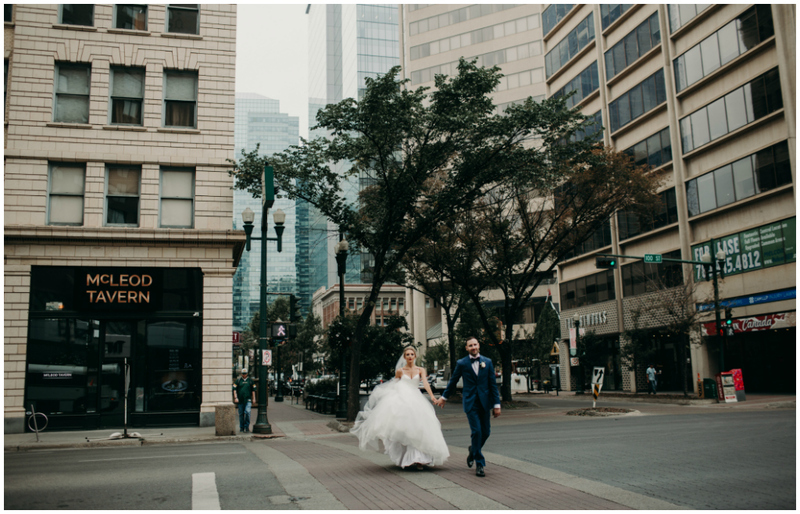 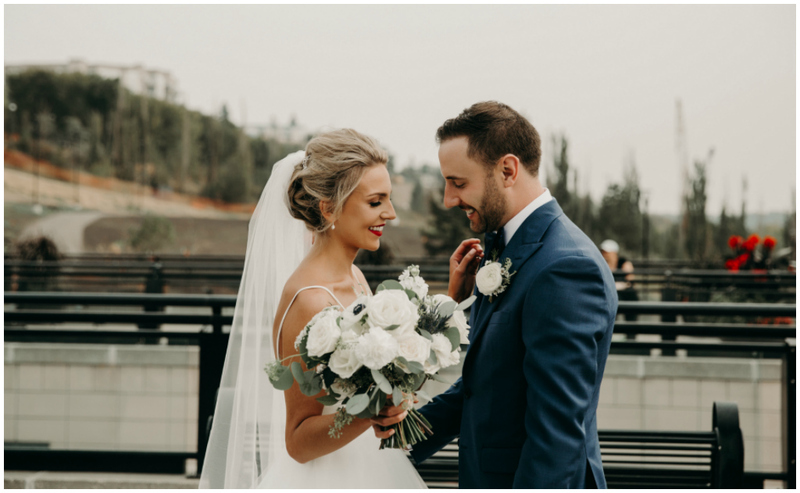 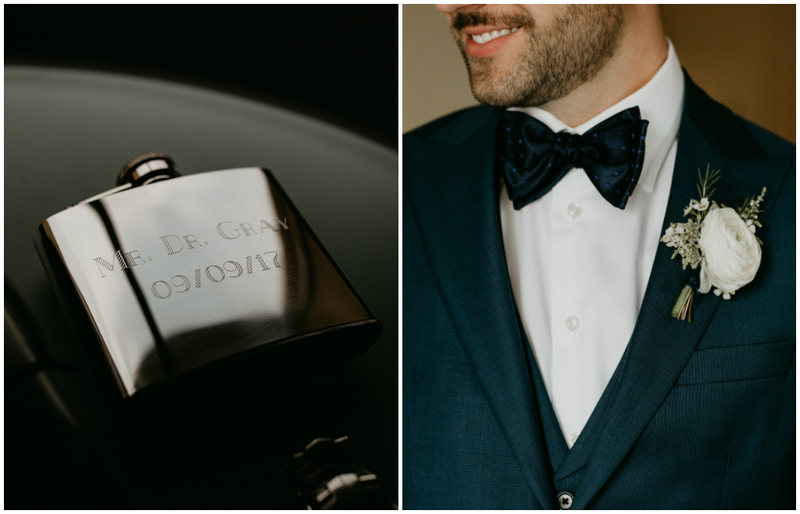 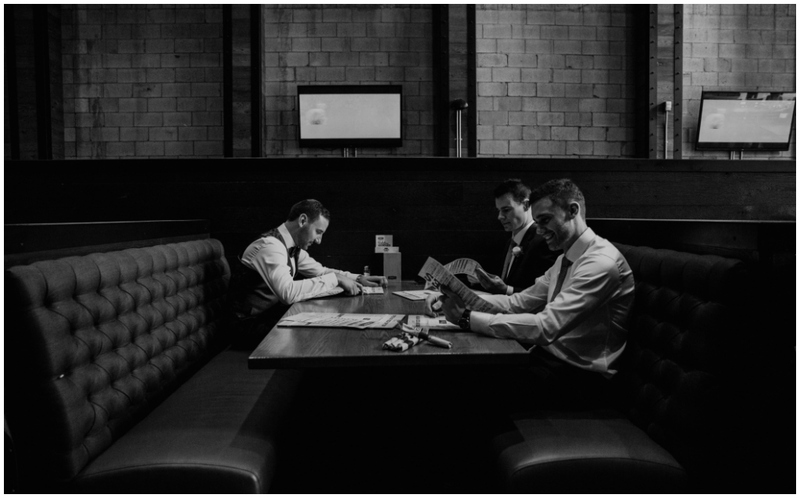 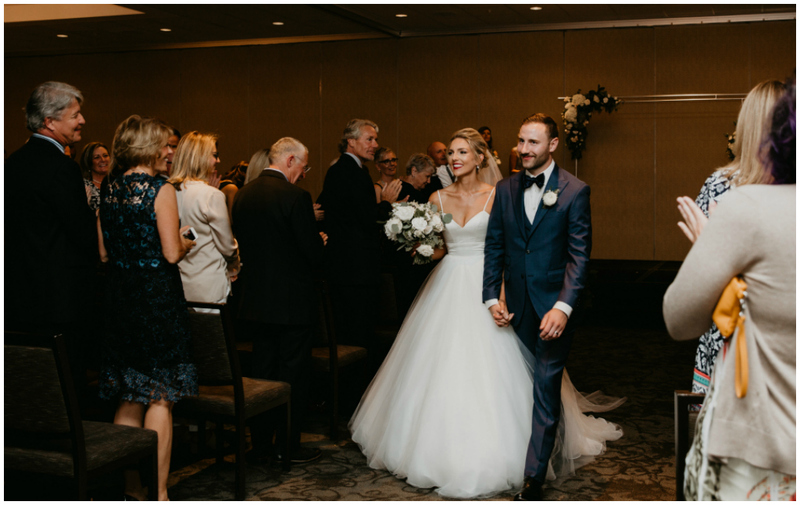 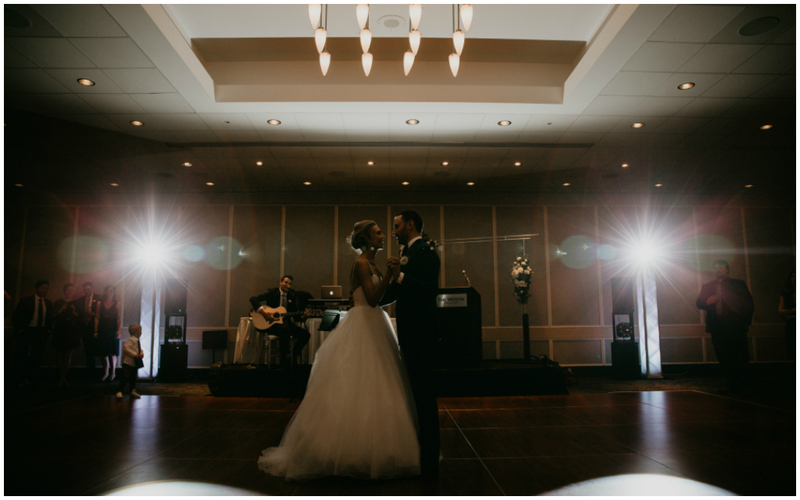 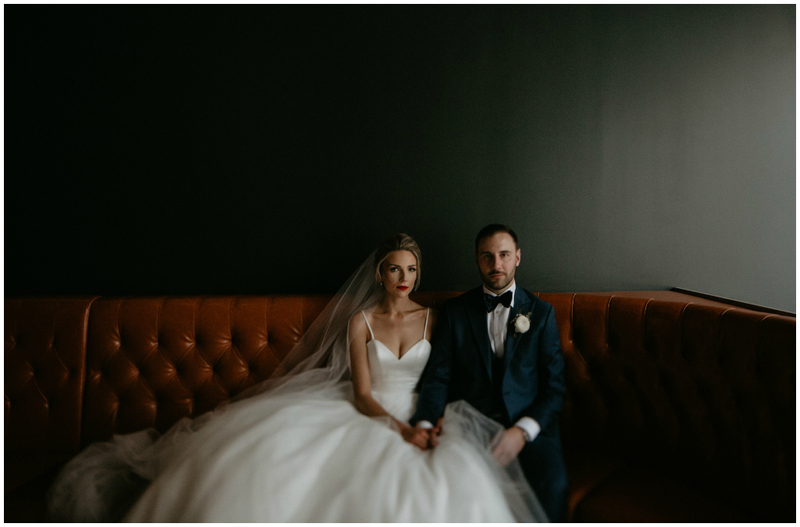 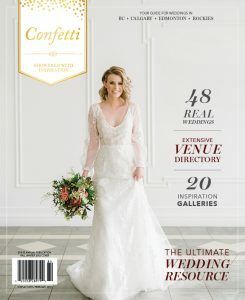 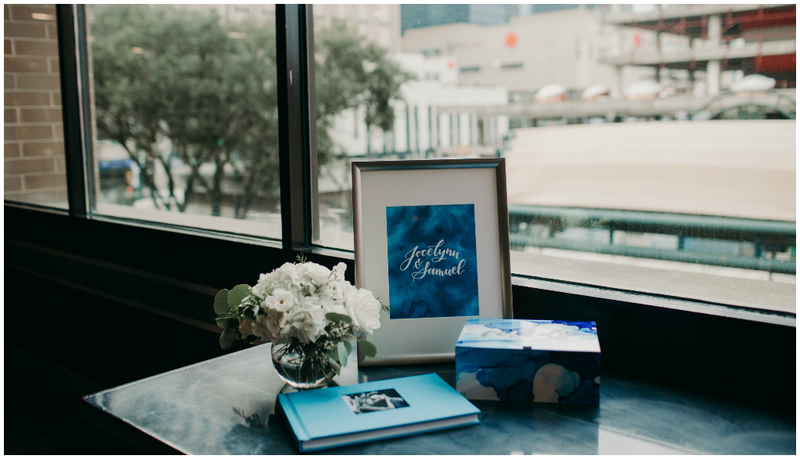 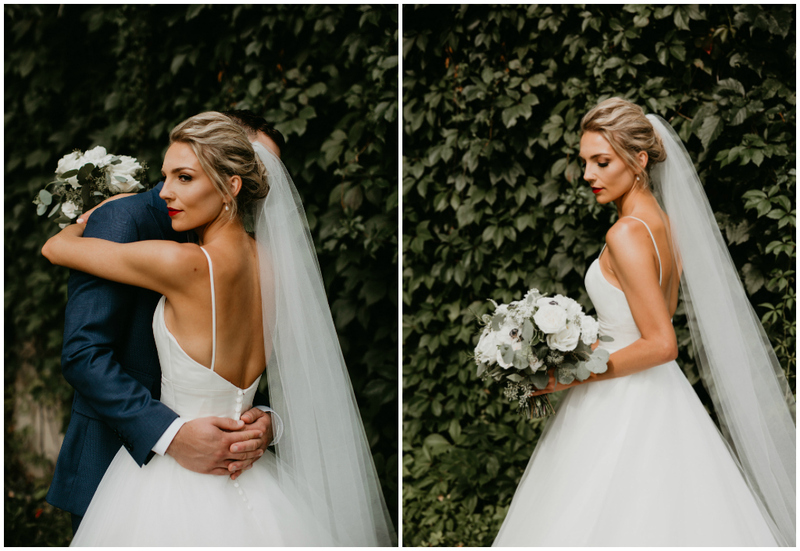 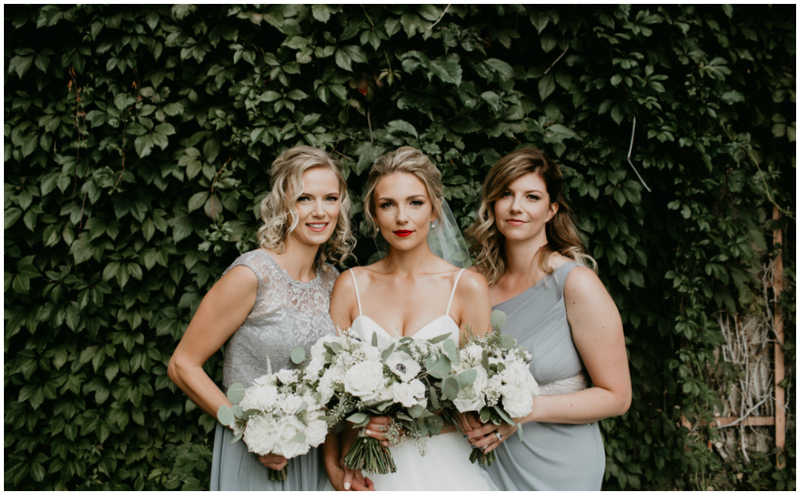 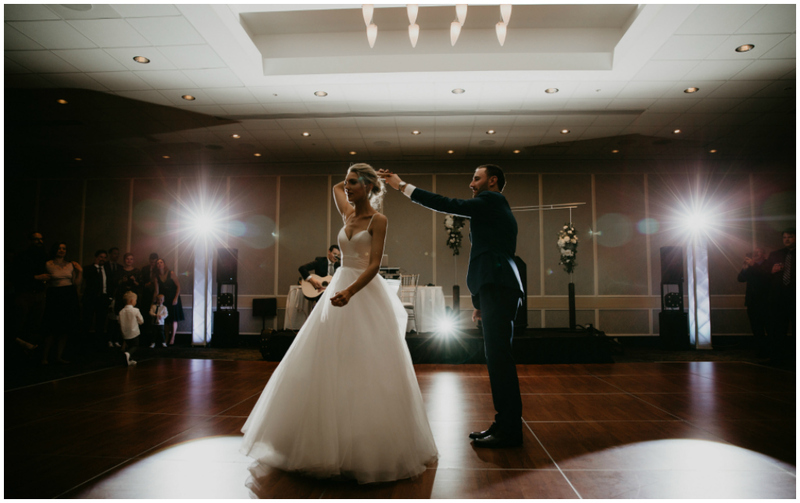 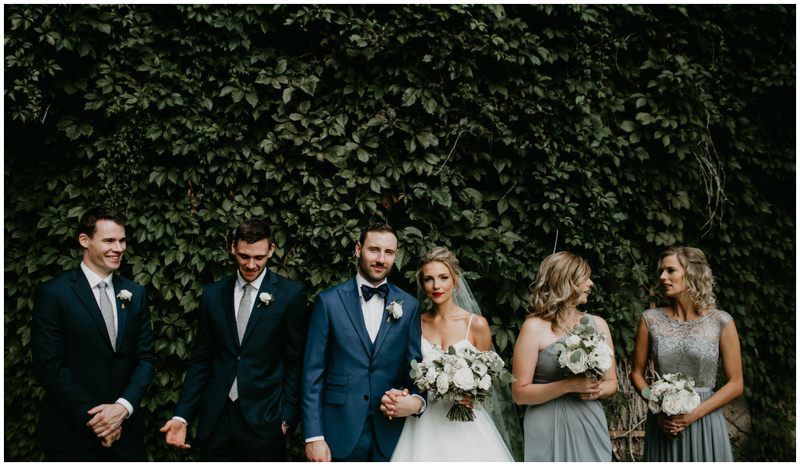 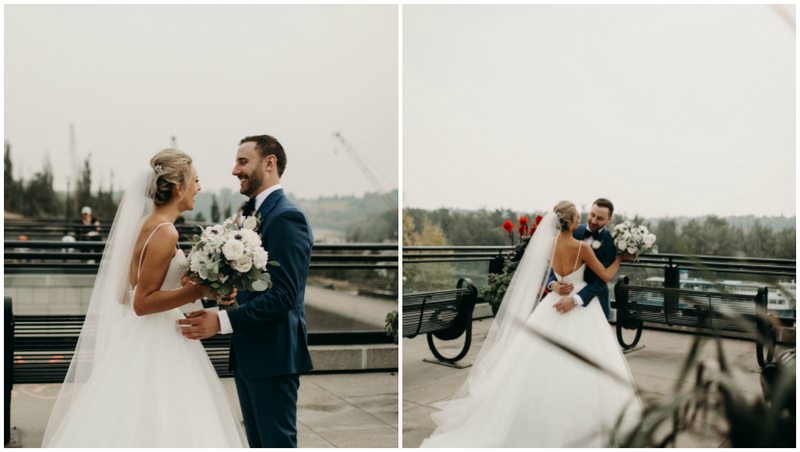 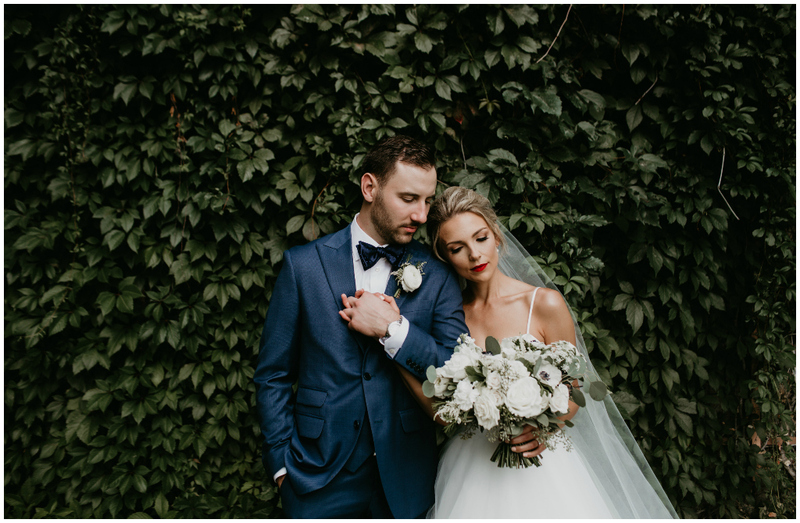 After sharing a ‘first look’ and an afternoon of photos in Edmonton’s River Valley and at Woodwork restaurant, Jocelynn and Sam made their way to The Westin Edmonton. 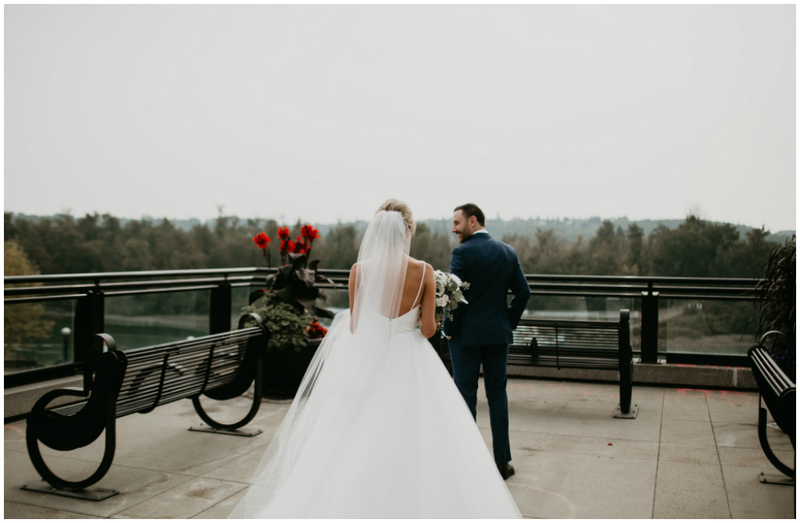 Their late afternoon ceremony was beautifully personalized by Barbara of Threshold Ceremonies, and was set under a handcrafted arbour lovingly made by Jocelynn’s father. 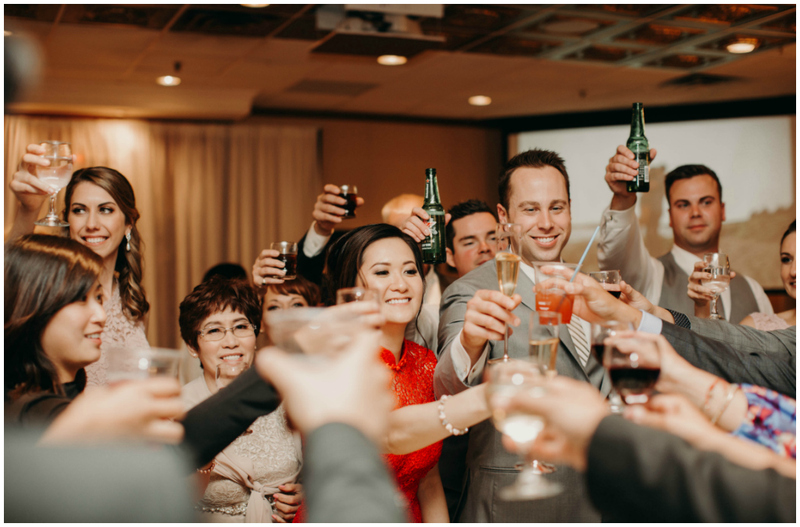 Guests joined the newlyweds for cocktails and refreshments before sitting down for a delicious meal and heartfelt toasts. 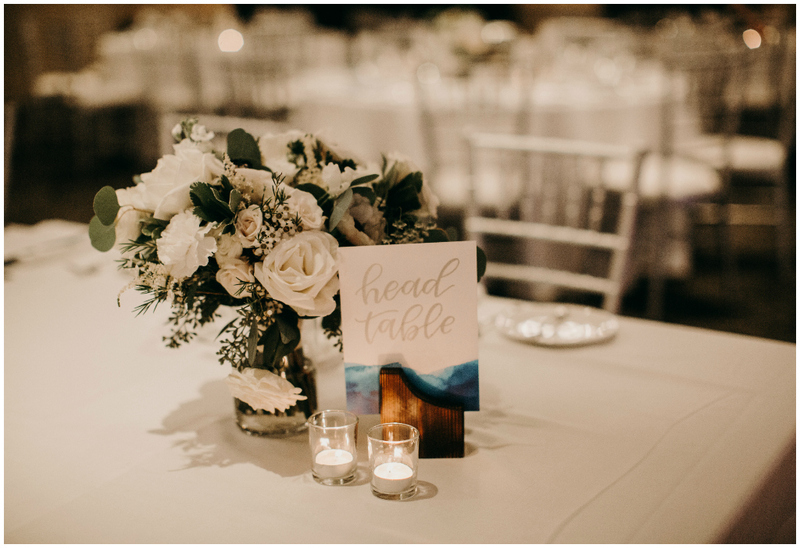 The ballroom was simple and elegant with pops of blue, silver and greenery amidst an all-white canvas. 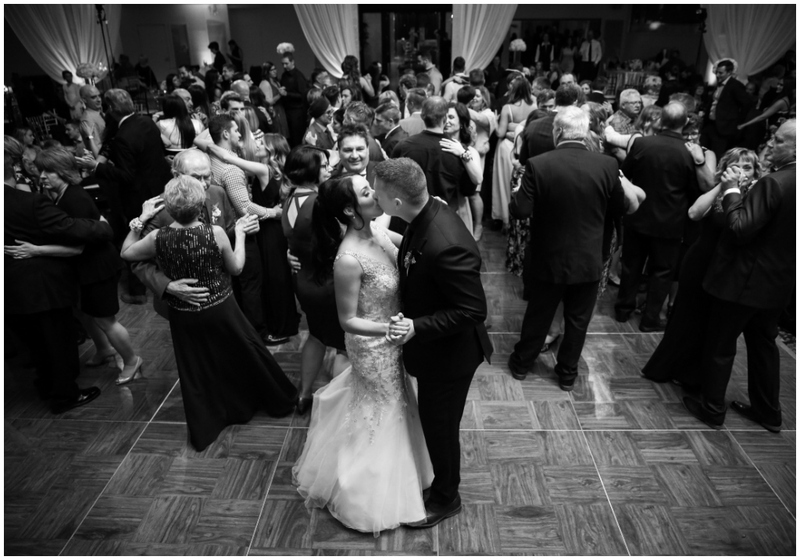 Talent Productions provided the soundtrack for the evening and everyone danced the night away. 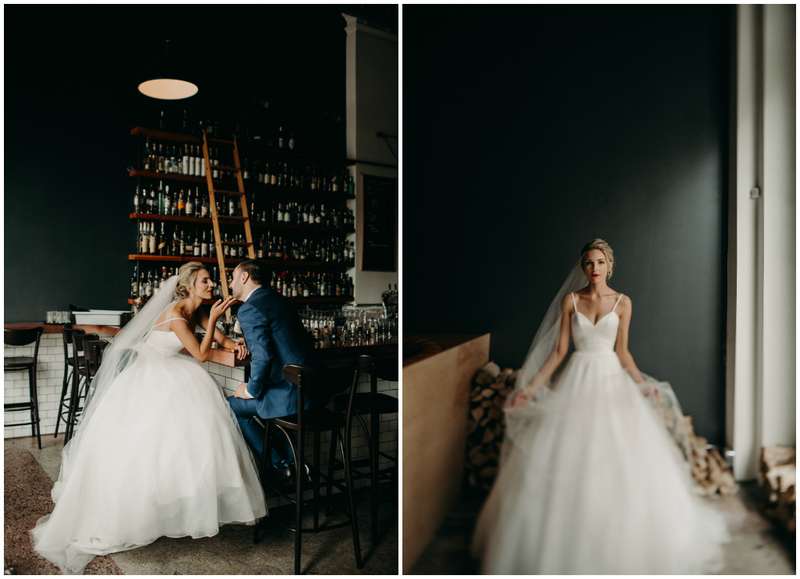 Sharon Litchfield never ceases to amaze with her ability to produce breathtaking images (though her subject matter wasn’t exactly difficult to shoot)! 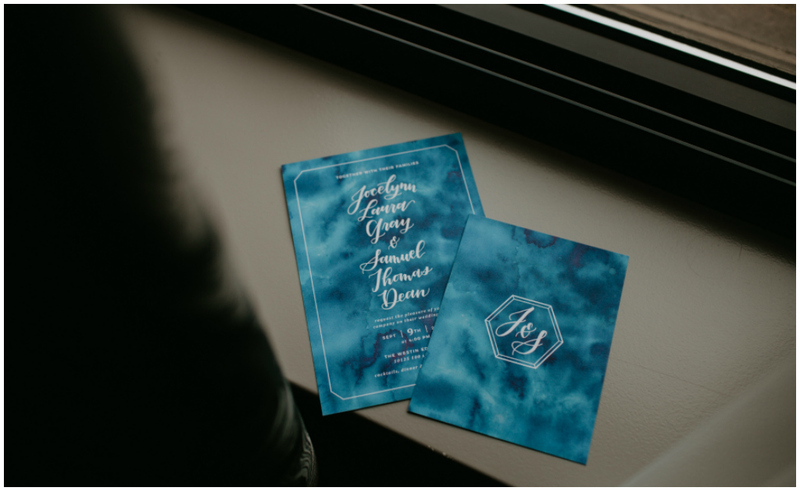 Invitations + Stationery: Wink Ink Design Co.